Creating Great Wealth with Single Family Dwellings! What separates successful investors from struggling investors? The ability to see the true potential of a deal is the key to success. This month at the Beginning Investors Group (BIG) on Monday, February 15th at 6:30PM at the Hudson Grille located at 6317 Roswell Rd in Sandy Springs, GA, Jim Hitt will showcase a real life case study in which the very basic purchase of a $60,000 single family home led to a progression of deals ultimately resulting in a $1,000,000 profit in a tax advantaged environment! Anyone can do this with knowledge and the proper due diligence. Jim talks about the “chess strategy” of real estate in which investors must think about how every move they make impacts their next move. Jim Hitt maximizes profits by blending his two passions, self-directed IRA investing and real estate investing, to create great tax advantaged wealth. 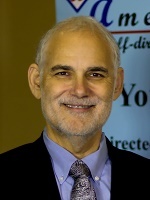 Jim is the CEO and Founder of American IRA, a national Self-Directed IRA services provider. Jim has also been a licensed real estate broker in the state of California for over 40 years and an active real estate investor who has participated in over 6,000 real estate transactions with a current portfolio of over 50 rental properties. Jim has participated in the acquisition and development of single family homes, multifamily homes, and commercial buildings. Throughout Jim’s investing career, he has employed various creative financing strategies including private lending, owner financing, hard money lending, and more. 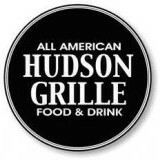 Join us on Monday, February 15th at 6:30PM at the Hudson Grille located at 6317 Roswell Rd in Sandy Springs, GA as Jim shares case studies on strategies that can help every real estate investor take their investing and profits to the next level.